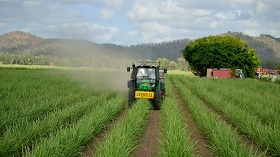 The SIX EASY STEPS program provides a proven methodology for growers to calculate an appropriate rate of nitrogen for their cane production situation, in response to ambitious but important water quality targets for the Great Barrier Reef. Recent Reef Report Cards have shown improvements in water quality as a result of a number of activities occurring in Queensland, including SIX EASY STEPS, but as always more action is required. SIX EASY STEPS is contributing to the annual reduction of Dissolved Inorganic Nitrogen (DIN) and is constantly being refined to focus on paddock variables and other complexities as new information becomes available. 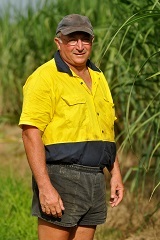 Queensland's sugar industry encompasses a remarkably diverse environment. Recognising this diversity and providing guidelines for managing nutrients in such a variable environment is integral to the SIX EASY STEPS nutrient management program. The six logical steps that underpin the program’s framework ensure that the program remains relevant and useful for all growers. Read more. Using the first four steps of the SIX EASY STEPS process ensures that growers are in line with current industry best management practices, while STEPS 5 and 6 promote continuous improvement and cyclical learning opportunities. A group of Burdekin growers put the SIX EASY STEPS methodology through its paces, keen to understand how using less fertiliser could benefit their business. One grower is now using 15 tonnes less fertiliser a year and hasn’t lost tonnage or sugar content. Another grower has calculated his savings to be $28,000 on 100ha worth of fertiliser. Read more about the case studies and trial results from the RP20 Burdekin Nitrogen Trials here. SIX EASY STEPS ties in to the industry best management practice program Smartcane BMP which, through the efforts of farmers across the industry, is delivering productivity and water quality results across all cane growing districts. Read more. Mourilyn farmer Joe Marano says using SIX EASY STEPS helped him to interpret the soil test data gathered while mapping his farm in order to develop unique nutrient management plans for the four different soil types that were found. Joe says the process helped him to trial new fertiliser application processes which will ultimately save him money and reduce fertiliser run-off into the environment surrounding his farm. Watch more.